Reciba más con nuestras exclusivas solo para socios. ¡Inicie la sesión o regístrese ahora! 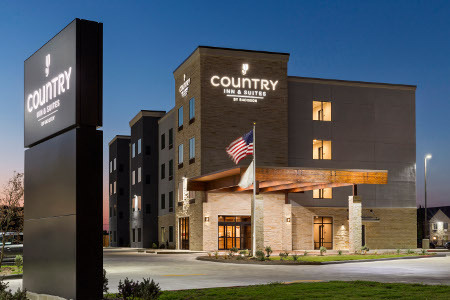 Stay in the heart of Texas Hill Country at the Country Inn & Suites® by Radisson, New Braunfels, TX. Destinations like the Guadalupe River and the Gruene Historic District give this area its charm, while modern corporations like GE, Tyson and Philips make it a convenient meeting point for business travelers. Families also enjoy local hits like the Schlitterbahn Waterpark and Natural Bridge Caverns. Learn more about our hotel’s amenities and services. Looking for a corner view? Reserve our King Corner Suite, which also provides additional space. 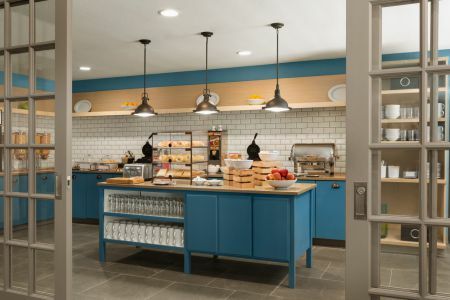 Begin your day with the complimentary, hot breakfast, served daily. Let the fresh coffee, golden waffles, eggs, and hot and cold cereals energize you for the day ahead. When it’s time for lunch or dinner, take time to explore the local dining scene. Some of the most popular restaurants include Buttermilk Cafe, Huisache Grill and Wine Bar, The Gruene Door and Myron’s Prime Steakhouse. Texas Ski Ranch – If you're a fan of sports performed on a board, then you’ll love this 70-acre complex just six and a half miles from the hotel. Try snowboarding, wakeboarding, skateboarding and more. Other highlights include the paintball course and the trampoline park. Gruene Historic District – Rooted in a fusion of traditional German influence and Texas culture, this historic district offers a unique escape just three miles from the hotel. See live music at Gruene Hall, and visit the town’s local shops and restaurants. Schlitterbahn Waterpark – Round up the family and get soaked at Schlitterbahn Waterpark. Exciting rides, slides, swimming pools and shows await you less than four miles from the hotel. Read more about our hotel’s location. 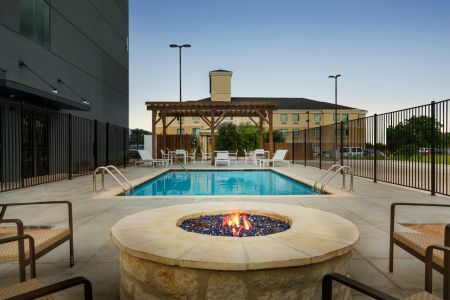 Make the Country Inn & Suites your venue for business meetings and special events in New Braunfels. Our 755-square-foot meeting space accommodates up to 60 people, and our convenient location just off I-35 makes us easy to find. 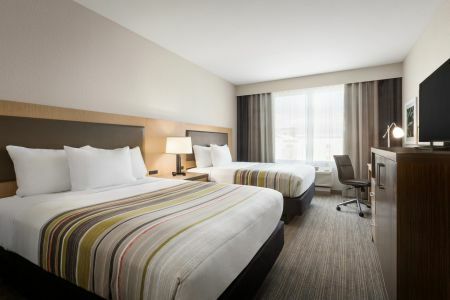 Overnight guests can enjoy free parking as well as the complimentary, hot breakfast. Learn more about our meeting room. See what our guests are saying about us. 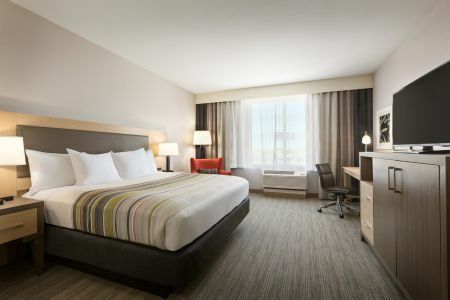 © 2019 Country Inn & Suites by Radisson. Todos los derechos reservados.